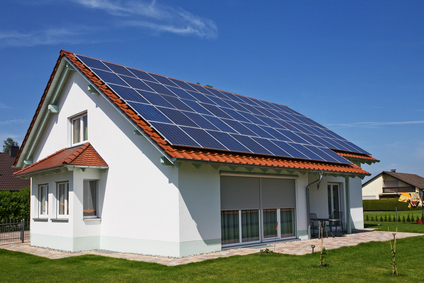 Understanding the dynamics of how solar electrical systems work is a very simply endeavor and in just a few minutes of your time you’ll know all you need to know in order to make an informed decision about solar electrical systems. Photovoltaic cells which are more commonly known as solar panels generate electricity from the sun and power your home by capturing the electrons in the sunlight and converting them to DC power (Direct Current). 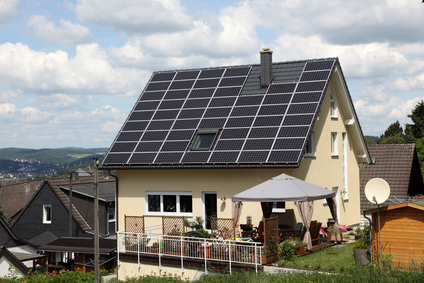 Some solar panels on the market have a micro-inverter installed for each panel which converts it automatically to AC power (Alternating Current) which powers your home. 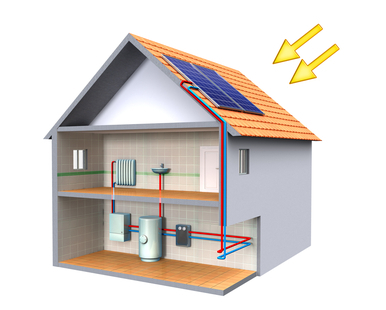 If in the event you do not have micro-inverters with your solar panel system then your system would then connect to an array DC disconnect which in simple terms acts as an electrical hub for all your solar panel’s wires coming from your solar panels. The array DC disconnect arranges all your circuits into a parallel circuit before connecting to an inverter which transforms your DC (Direct Current) into AC (Alternating Current) at a central point rather than at multiple points like the micro-inverters, though they serve the same essential function. Many people have either a gas or diesel backup generator hooked-up to the circuit breaker box as a secondary measure in the event of a power failure. Once your AC generated solar energy reaches your circuit breaker box it will power your home’s electrical appliances and when you are using your electricity the least, the excess electrity will be sent back out to the power company’s electrical grid. The you should see your utility meter running in reverse, saving you money and providing your neighbors with clean energy. Like anything else, roofs too can require roof repair work. It is very common to see some roof leaks, flashing failure, or shingle deterioration during the life of your roof, and repairing them is not always complicated. Beware, however, that any roof repair work not carried out meticulously and appropriately could lead to even worse damage, so do not hesitate to call one of our contractors if you are not a roofing expert.